202 on Westbourne Grove is a delightful place to have Lunch or early Dinner. It’s shadowed by the wannabe trust-a-farian who creep in to be looked at. But the food is good and relatively inexpensive. I actually like it around 6 or 7 as the place is empty. The staff is friendly and gossip is good if one decides to speak freely. I remember when this was an old pub (202) around 1999, and Joseph’s (fine clothing) on the corner was an old gas station. 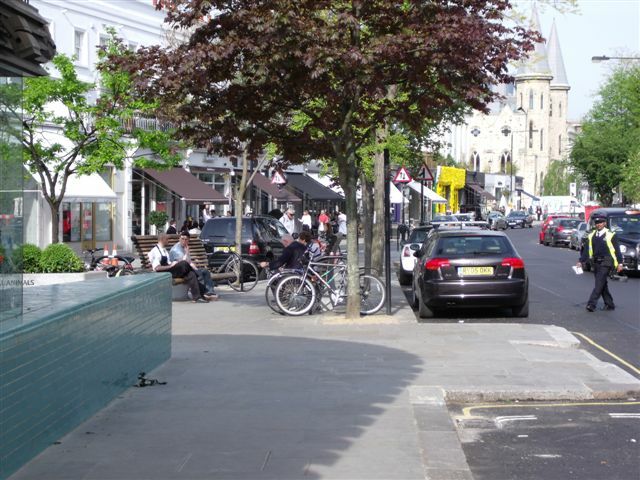 Westbourne Grove has become an exciting, trendy area for all types. It really exudes the newness of the area with its Churches that have been modified into million pound apartments and street fronts that have been redone to the highest standards. Location is important for London Relocation Service as a London move is not cheap. Relocation info is hard to come by, but London Relocation Services gives you that edge to find the perfect home in the perfect area like Westbourne Grove. Body Works West Gym is also located down a fantastic cool mews called Lambton Place W11. Check out this area by foot and see that this is an amazing place to set up a flat-find! Thanks again and more scribble tomorrow.